Finding skilled siding contractors that you can trust to expertly and efficiently install new siding on your home in Destin, Florida, doesn’t have to feel like a shot in the dark. In fact, it’s as simple as turning to Majors Home Improvement, a full-service home improvement company that has numerous awards and accolades to its name. Our Majors Select™ Vinyl Siding will transform not only the appearance, but also the comfort of your home. With a thick layer of insulation wrapped around your home, our siding will help it remain cooler in the summer and warmer in the winter without requiring your HVAC system to work overtime to maintain a comfortable indoor temperature. In addition, our siding is available in a variety of color options, so you can choose the hue that is the perfect match for your Destin, FL, area home. 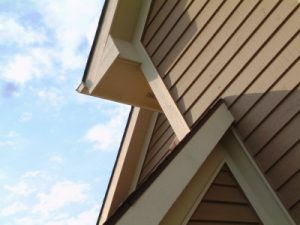 Professional – Our siding contractors are factory trained and highly experienced, so you can count on them to skillfully install your siding, paying close attention to detail. Considerate – We’ll keep you informed about your project, even before any work has begun, to ensure you are always kept in the loop about what’s going on. Personable – Our siding contractors will come to your home with a friendly attitude and treat you as if you are a member of our own family – because you are. By working with Majors for a siding installation, you’ll be a member of the Majors family. If you’d like to work with our siding contractors on a project, contact Majors Home Improvement today. We’re pleased to be the home improvement company of choice for Destin, FL, and all surrounding cities.